~~Classical Ayurvedic texts have several references to cancer. Some terms used to describe the condition are general while others are much more specific. Charaka and Sushruta Samhita (700 BC) both described the equivalent of cancer as granthi (benign or minor neoplasm) and arbuda (malignant or major neoplasm). Both can be inflammatory or non-inflammatory, based on the doshas (Vata, Pitta and Kapha) involved. The term dosha describes the three principles that govern the psychophysiological response and pathological changes in the body. Ayurveda described health as the balanced coordination of these three systems in body, mind and consciousness. The fundamental theory of Ayurvedic treatment is based on restoration of the balance between these three major bodily systems. Scientifically proved natural sources of anticancer principles are selected, processed without any degradation and used for the cancer treatment. Initially, a thorough examination of the patient is done to determine the disease status. 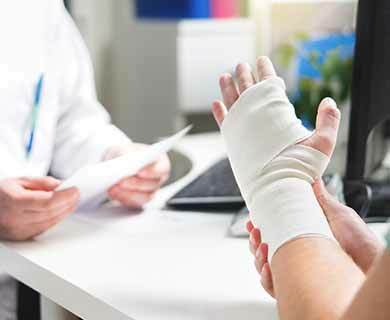 The medical history, type of the treatment availed of and the medicines administered are also considered in determining the protocol for treatment. The duration of the treatment depends on the disease status and response to the medication. Depending on the response the patient is advised to take specific supportive therapy also. Natural herbal supplements destroys the Cancer cells and prevents their growth. It selectively kills the diseased cells. Besides, it is very safe and has got no side effects and no toxicity. But since it is a very complex disease a single medicine alone cannot do the job. 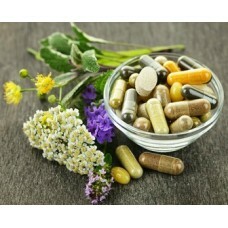 We are using many other Ayurvedic decoctions along with herbal supplements for curative purposes. Before stopping the medicine it is always important to make sure that the body is completely free from diseased cells. Here we start the last phase of medicine called the “Rasayana” means rejuvenation of the body, since it is important to rejuvenate all the organs in the body to lead a normal healthy life. The duration of treatment depends upon a variety of factors, such as, stage of disease, age of the patient, general health condition and response to medicine, etc, and one has to continue the medicine for a minimum of 6 months to a maximum a period of 2 years. We are constantly monitoring the patients using lab investigation, imaging technologies etc., during this period. Lab tests are conducted for analyzing the stages of the disease and respective changes are made during the treatment. The medicines are continued as per the severity of the disease as prescribed. Ayurveda treats the disease according to the specific nature of the patient, the aggravated body energies involved and the body tissues that are affected. Treatment does not only focus on the area of the malignancy but on the entire system, as the whole organism must be returned to harmony for the disease to be treated permanently and not recur elsewhere. The body must be purified of the toxins that cause the cells to attack the body. Treatment includes the administration of blood cleansing herbs along with the adoption of a detoxifying diet. Circulatory stimulant herbs are also prescribed to promote circulation, shift stagnation of the blood, increase the efficient elimination of toxins and assist in healing the tissues. Immunity restoring herbs and minerals are given to boost the strength of debilitated patients. * Abstinence from food and lifestyle that cause tridosha (vata, pitta, kapha) imbalance. * Eliminating toxins through Panchakarma. * Restoration of healthy jatharagni (digestive power) functions. * Ayurvedic preparations can act as an adjuvant or a co-therapy along with chemotherapy or radiotherapy. - It is also helpful in post-surgery care. * Ayurvedic medicines help to minimize the side effects of these therapies. 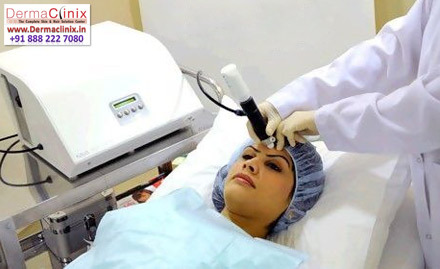 What You Need to Know About Hair Removal Services in Delhi? Copyright 2019 © SME Trades | All rights reserved.